Pops with 42 DOF, Woo Hoo!!!!! Me, too! He's a fave of mine? Have you ever seen his movie CRAZY HEART? I highly recommend it. 42, look at you!!! Rahhhh!!! Pops!!! Congratulations on DAY 42 and this fantastic quit you have going......the rhyming makes it such FUN!!!! Congrats on 42 days Pops! Day 42? Pops, is that you??? WTG Pops keep on keeping on! I missed your day 42, I was working and came home and did my usual collapse for the night. I am still recovering...so you made it THROUGH day 42. 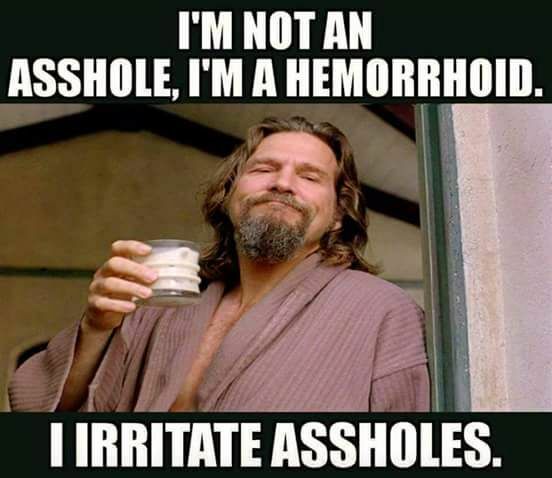 LOVE the hemorrhoid reference, hahahaha.